One good news for Google Nexus 4 users they can now easily root their device along with that they can also install the ClockworkMod recovery. 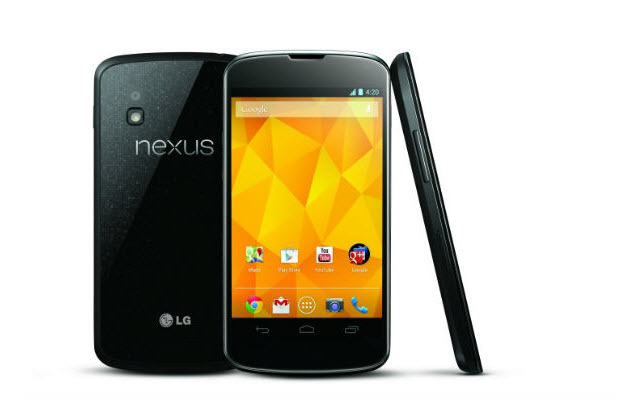 In this tutorial we are providing two different methods for you to root your Galaxy Nexus 4. All thanks to the XDA Senior Member and news writer HQRaja who has come up with this work. The foremost thing you need to do is; first unlock the bootloader on your device. After that install the ADB with fastboot on your system. Unlock the Bootloader will wipe your data completely so, we strongly advice you to take backup of all your internal data such as Call Logs, Contacts, SMS, MMS, Apps, APNs Settings, etc. with the help of backup applications. Just in case, if you lost your data due to any reason you could easily recover them with the help of backup applications. 2. Enable android debugging from Settings>Developer Options. (If you can’t find developer options, go to ‘About’ and tap ‘Build number’ seven times). 3. Connect your device to the computer via USB and install the required drivers. First download the file from here and extract it into a folder. Plug your phone in. When prompted, select to browse your computer to manually install the driver. 4. Download the recovery flashable SuperSU package with Busybox and transfer it to your phone’s internal SD card. After that power off the phone and then use power+volume down key combination to get into bootloader. 6. Now, unlock the bootloader if you do not perform this step already with the help of below command. 7. After that enter the below command prompt to flash the ClockworkMod recovery (Just make sure you are in the directory where you downloaded the recovery file). 8. If you flashed the recovery in the previous step, you can now boot into recovery by pressing the volume Up or Volume Down buttons twice to select the recovery option, and then the power button to enter it. If you simply booted into the recovery file without flashing it in the previous step, you should already be in recovery now. 9. Flash the downloaded SuperSu and busybox package zip file from recovery. 10. Finally clear the cache and dalvik cache and reboot the device. 1. First download the insecure boot image file from here. 2. And also download the root file from here. This package includes the latest SuperSu 0.98, latest su binary hat comes with it, and working busybox (not sure if latest). 3. Once downloaded, extract the contents of the downloaded zip file to your computer. 5. Connect the device to your computer via USB, and install the required drivers. 7. Now, unlock the bootloader if you do not perform this step already with the help of below command. Don’t worry, this will not replace your existing boot image and will only boot from insecure one once. NOTE : If it does not work for you and you get stuck in a boot loop, simply reboot your phone into bootloader and use the above command again. Some users had issues with booting from it the first time, but a second attempt worked. 10. Finally Reboot your device. Congrats! now you will have root access.